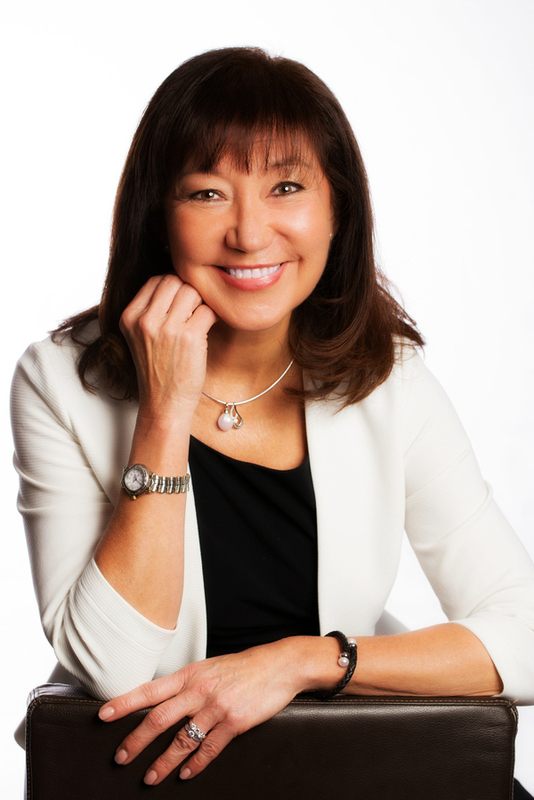 Jane Jackson is the author of #1 Amazon bestseller Navigating Career Crossroads and host of 'Your Career' Podcast on iTunes. We recently spoke with Jane about important elements that new college graduates should focus on when looking for their first job, including professional image, etiquette, and confidence. Tell us a bit about your background. Why did you decide to become a career coach? I'm living my dream job as a career coach as I'm on a mission to make career guidance accessible and affordable to the world. Having enjoyed 20 years in a number of industries from public relations to FMCG and from the travel industry to health & fitness in Hong Kong and London before moving into corporate training roles in Singapore, I know how much determination it takes to make a successful career change – and once you've done that, how to develop your career and your personal brand effectively. It was a smooth transition from corporate trainer to career coach for me, as I had many transferable skills and a strong empathy for those struggling with change and transformation within the corporate environment. I set up Jane Jackson Careers because I'm on a mission to make career guidance accessible to all who need it. When it comes to new college graduates seeking their first jobs, do their situations differ based on what country they live in? Yes, very much so. Depending on the expectations of their culture combined with the economic climate where they are located, the way college graduates approach the job search process will differ. Some will find it more challenging than others to secure their first role depending on the job function, the industry, and the location they are targeting. It is essential that they conduct research about the industry they wish to target and how buoyant the market is for their desired roles within that industry in their preferred location. Generally speaking, do you think that today's college graduates are too confident or not confident enough when searching for their first full-time job? College graduates, in general, have the confidence of youth! They will have spent years becoming highly qualified in their subjects of choice and are ready to secure their dream job. Of course, there will be the anxiety about how they will approach the job search as this will be a new skill they must learn. Depending on their chosen profession, it may be that major companies will attempt to entice them to join their firms by offering attractive graduate positions. For example, young lawyers and accountants who have achieved high grades at college will be strong candidates for graduate programs at large law firms and accounting firms. However, other professions may not offer the option of graduate programs or traineeships. It's important to be aware of all the options; and when they gain that knowledge, their confidence will grow. When it comes to professional image, what are some common mistakes that young adults tend to make? I've found that when it comes to professional image, many young adults take the stance that their talent, skills, knowledge, and personality should be enough to get them through the interview process. And in principle, I would tend to agree with them. However, they need to be aware that depending on the interviewer (or their future manager and his or her biases), a professional image will also play a part when it comes to success in the job search process and to managing their career effectively. A common mistake is that young adults don't research what is appropriate or acceptable attire for different environments. If they want to dress to impress for success, then they must also look the part. So much of selection success is in the "fit" of the candidate. A professional image extends from in-person to online branding. Young adults may not be aware (or may not care) about what they post on Facebook, Twitter, Instagram, and LinkedIn. For professional success, it is essential to manage their online brand. According to CareerBuilder's social media recruitment survey of over 2,000 hiring managers and HR professionals and over 3,000 full-time U.S. workers, 60 percent of employers revealed that they use social networking sites to research job candidates. Since you teach a course called Dining and Social Etiquette, could you tell us why this information is important for new college graduates to know? Frequently, the interview process can extend over a number of days and include social situations where dining etiquette will be observed. One of my clients was sent to Chicago for a series of interviews over three days. These interviews were held during the day in the office setting and also over lunch and dinner since his role required a significant amount of client relationship management, which included entertaining those clients. If college graduates are targeting roles where there will be significant client liaison, their social etiquette, as well as their business etiquette, should not raise questions about their professionalism and understanding across cultures. A solid understanding of what is acceptable in different cultures, especially in today's global economy, is essential. It is important to… develop a good reputation before thinking about moving [to a new job]. It takes about 90 days to settle in and then another 1-2 years to get completely up to speed in most roles. As someone who has moved to another country on four different occasions, what advice might you have for a new college graduate who is considering looking for (or accepting) his or her first full-time job in a foreign nation? I would recommend that they conduct their research into the economy of the country or city they are targeting first of all, and then understand the employment requirements such a visas, certifications, and specific qualifications that are accepted in their target country. They must find out the cost of living, the employment prospects, and what support the company will provide to help them assimilate into the new environment. It would also be prudent to speak with others who have made the move and find out the challenges as well as the benefits of being there. Networking and speaking with those who have done it all before will provide great insights. If a new college graduate were to say to you, "As soon as I land my first full-time job, I'll immediately start looking for my next job," how might you respond? I would suggest that they focus their time on getting up to speed in their new role first in order to make sure that they contribute and add value to the department or company. It is important to have some wins on the board and develop a good reputation before thinking about moving on. It takes about 90 days to settle in and then another 1-2 years to get completely up to speed in most roles. To move on too soon would raise alarm bells with future employers that this job-seeker is a job-hopper. Every time a business replaces a salaried employee, it costs six to nine months' salary on average. This is why screening and carefully selecting the right employee is so important to companies. For the college graduate, of course, it is wise to be aware of other opportunities for the next step in their career; however, an employer will expect to gain a return on their investment. I would say develop a strong professional reputation before looking for the next role. What challenges will Generation Z face in finding their first full-time job that Millennials didn't have to worry as much about? Gen Z is considered to be the "connected generation" as they are brought up using digital technology and social media. This makes it even more important to ensure their online brand is professional. 1.Globalization – Through leveraging technology, many professionals now work globally by staying at home, working remotely, and changing the traditional world of work. 2.Automation – Artificial Intelligence (AI) and the constantly evolving smart machines performing human tasks will affect the availability of certain roles for Gen Zs. Any role that can be automated will be. This makes it even more important that Gen Zs develop strong interpersonal communication skills, develop and maintain a strong professional network, and maintain an innovative and creative approach to their work. 3.Work flexibility – The preference of organizations to take on contract workers or consultants (i.e., the "gig" economy) will mean that there will be fewer full-time permanent roles available. The good news is that many organizations have shifted their working schedule to a "results only work environment" where employees can come at any time or work from anywhere as long as their work is completed. This kind of environment exemplifies the work atmosphere desired by Gen Zs who are constantly connected in every aspect of life. Finally, Gen Zs should educate themselves in the essential requirements and prepare well to secure their desired role after graduation. Ready to educate yourself about your chosen career? Sign up for Vocate today!